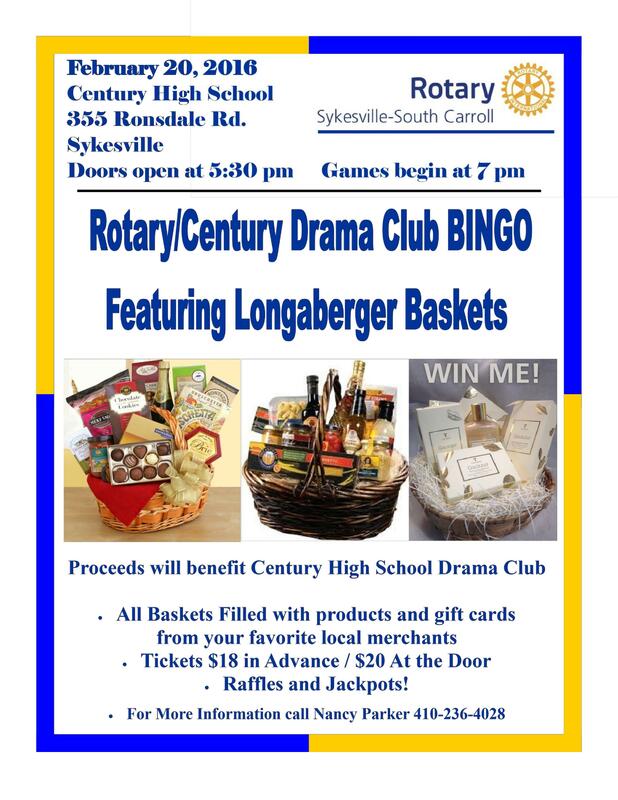 Come support Century Drama and play BINGO for a chance to win one of many amazing Longaberger Basket prizes! WHEN: Saturday 2/20/16, Doors open at 5:30pm, Games begin at 7pm. WHERE: CHS Cafeteria. WHO: Century Drama is association with Sykesville-South Carroll Rotary Club!